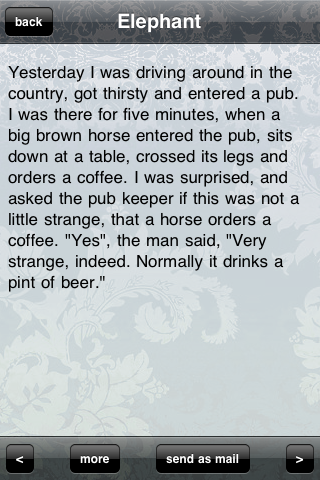 Get a big laugh! 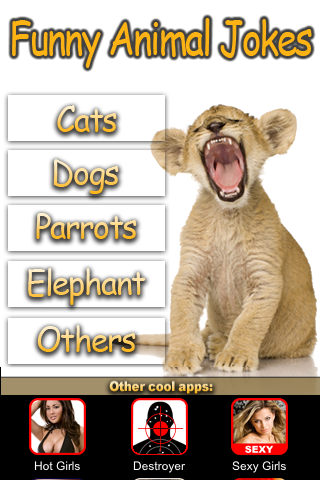 Download the Funny Animal Jokes collection! The best entertainment app ever! 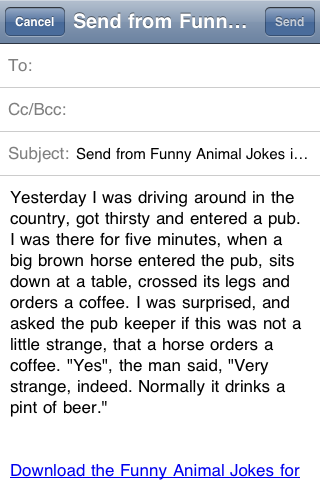 You can send all the jokes to your your friends.